A well planned three storey Victorian family house in a quiet and convenient location. 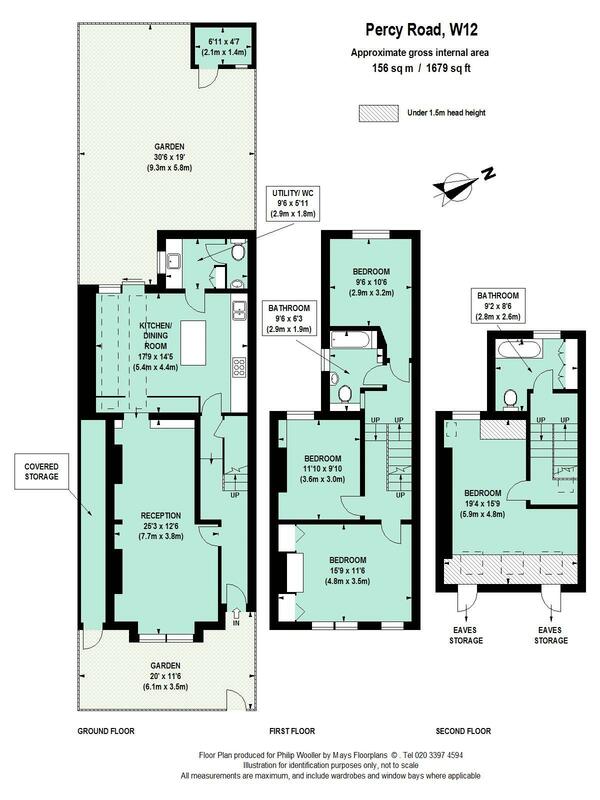 The property offers easily workable family space where kitchen / dining and reception space are kept separate and a useful utility / downstairs WC runs off the kitchen. The garden is pleasant and faces west. Upstairs there are four double bedrooms; two generous bathrooms and ample storage - additional external storage useful for bikes runs down the side of the house. Percy Road is a popular family orientated street running east off the southern end of Askew Road.The house is near the Askew end of the street near both Ravenscourt and Wendell Parks. Numerous good schools; the local shops and cafes on Askew Road and the shopping and transports hubs of Hammersmith and Westfield are all close to hand. 156 sq m / 1679 sq ft approx.